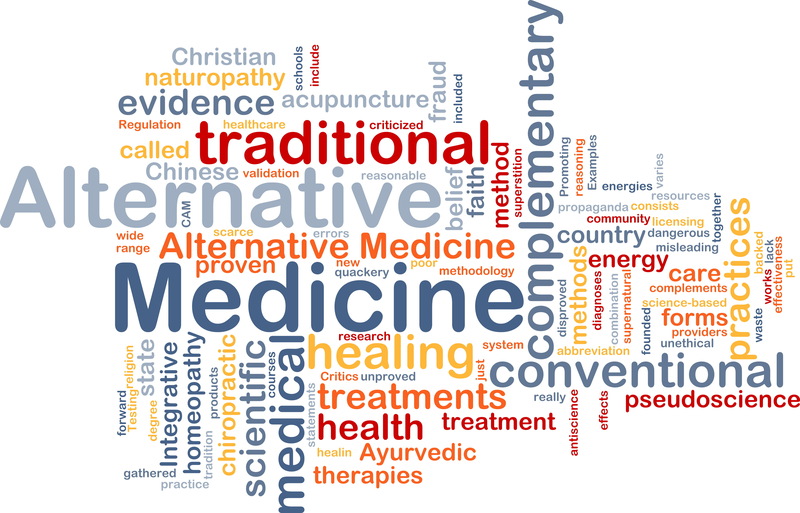 Since I opened Whitaker Wellness in 1979, the type of medicine we practice has been called many things, including preventive, holistic, functional, integrative, complementary, and alternative. 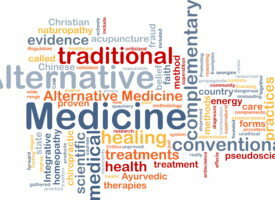 I prefer to describe what we offer at Whitaker Wellness as simply good medicine. We try to do what’s best for each of our patients with proven therapies supported by scientific research and decades of clinical experience—which nine times out of 10 are targeted nutrients, noninvasive treatments, and lifestyle changes. One thing I can say about the good medicine we practice at Whitaker Wellness is that it has staying power. Most therapies have a shelf life. Bloodletting was first-line treatment for everything from headaches to infections for thousands of years. Respectable physicians used opium for coughs and arsenic for syphilis well into the 20th century. Tonsillectomy was practically a rite of passage when I was a kid, and radical mastectomy was routine for any stage of breast cancer until the mid-1970s. Darvon and Darvocet were popular painkillers for decades, and Vioxx was prescribed to more than 20 million people. All these therapies—which were once the standard of care—have either been discarded or dramatically curtailed as their dangers and poor outcomes became evident and they were replaced by better, safer treatments. Hundreds of procedures and prescription drugs have met similar fates and others will inevitably join them as medicine advances. I predict that in 50 years, many of today’s treatments, such as chemotherapy and radiation, bypass and other surgeries, and a whole passel of drugs, will be viewed as ineffective and barbaric. In contrast, the good medicine we employ at Whitaker Wellness has withstood the test of time. And I can say with complete confidence that the therapies and modalities we use will still be around—and still be effective—50, 100, even 1,000 years from now. Why? Because instead of aggressively blocking, speeding up, slowing down, cutting out, or otherwise altering physiological function, natural therapies simply give the body what it needs to restore and maintain optimal health. “If we could give every individual the right amount of nourishment and exercise, not too little and not too much, we would have found the safest way to health.” This advice regarding good medicine is even more valid today than it was when Hippocrates gave it 2,000 years ago. Obesity, diabetes, metabolic syndrome, hypertension, heart disease, osteoporosis, and many other previously rare but increasingly common chronic conditions are what experts call “mismatch diseases,” meaning they arise because the human body is poorly adapted, or mismatched, to the environment we now live in. For example, we crave energy-dense fats and sugars, and our bodies are exceptionally efficient at storing excess calories as fat. This served us well when access to food was uncertain and honey was the only concentrated source of sugar. Today, foods rich in processed fats, sugars, and starches are abundant and enticing, but because the body cannot efficiently metabolize them in large quantities, they are detrimental to our health. We’re also hardwired to conserve energy whenever possible, an important adaptation when food was scarce and physical exertion was required just to stay alive. Modern life, however, places few physical demands on most of us, and the innate urge to sit on the couch is hard to overcome. The solution is simple: exercise and eliminate excess calories, unhealthy fats, sugars, and starches. Simple, yes; easy, no, because these healthy habits fly in the face of our most basic instincts. That’s why a major focus of Whitaker Wellness’ Back to Health Program—which attracts people from all over North America—is helping patients adopt permanent lifestyle changes. With diet and exercise alone, Debi lost 80 pounds and has kept the weight off for years. Ned lowered his blood pressure and William got his blood sugar under control without medications. These are not isolated experiences. They are just examples of good medicine! Virtually all of our patients report improvements in chronic conditions, energy and vitality, and overall well-being when they permanently adopt these powerful, inexpensive lifestyle changes. Optimal nutrition has always been and will always be a basic requirement for human health. The typical American diet is woefully inadequate in omega-3 essential fatty acids, B-complex vitamins, magnesium, calcium, potassium, and other vitamins and minerals—not to mention all the health-enhancing phytonutrients, fiber, and trace minerals absent in processed foods. And because few of us get enough sun exposure to produce healthy levels of vitamin D, deficiencies in this vitamin are rampant. The good medicine solution here is simple. I believe everyone, young and old, healthy and ill, should take a daily multivitamin, fish oil, and vitamin D to cover basic nutritional requirements. But the clinic’s use of supplements goes way beyond this. Tens of thousands of scientific studies demonstrate the therapeutic benefits of specific vitamins, minerals, fatty acids, amino acids, herbs, and other natural compounds for a wide range of health challenges. Rather than addictive painkillers, we prescribe natural anti-inflammatories such as curcumin and fish oil. We energize failing hearts with coenzyme Q10 and L-carnitine and ease depression and anxiety with amino acids that help normalize neurotransmitter activity. For type 2 diabetes, we enhance insulin sensitivity with berberine and vanadyl sulfate in place of oral drugs and insulin, which causes weight gain that makes blood sugar control all the more difficult. It’s not unusual for patients to come to Whitaker Wellness on a dozen or more prescription drugs—and leave with a handful of supplements. When John arrived at the clinic, he was taking 12 medications for hypertension, diabetes, heart disease, and pain. He somehow lost the bag of meds he’d brought with him, but rather than refilling them I suggested he start on a targeted supplement program and refill his prescriptions as needed. Long story short, John felt so much better on his new regimen that he never restarted the bulk of his medications. Although nutritional medicine has been kicked to the curb by Big Pharma, safe, natural substances were used for medical purposes long before recorded history, and they’ll endure long after most of the current crop of pharmaceuticals are gone. More than 50 million surgeries are performed in the US every year. We’ve come to accept this unprecedented explosion of invasive procedures as normal and necessary. It is not–and it certainly isn’t good medicine. I can’t begin to count the number of patients who have consulted Whitaker Wellness over the years for a second opinion on an “urgently needed” surgery. Cecil was days away from amputation due to an infected ulcer on his foot. We treated him with sugar dressings and hyperbaric oxygen, and today he’s walking around on his own two feet. Mel opted for stem cell therapy over a hip replacement and Chris for PRP instead of wildly overhyped back surgery. Both are doing just fine. Benjamin, a 75-year-old with low-risk prostate cancer, declined the recommended surgery. He lived another 12 years with no further cancer progression and was spared the harms of surgery. Dorothy, who was hospitalized after a heart attack, was told over and over again that her heart would stop if she didn’t agree to an angioplasty. She come to the clinic for a course of EECP and was able to return to her usual busy schedule shortly thereafter. Experts agree that a significant percentage of surgical procedures are not medically indicated but are motivated by profit, fear of lawsuits, habit, and ignorance of the medical literature. I’m not holding my breath, but I hope that increasing recognition of the tremendous harm this inflicts on patients and the enormous waste of health resources will turn this tide. Medical breakthroughs are occurring at a blistering pace: advances in stem cell therapy, minimally invasive surgical techniques, 3-D printing of “bionic” body parts, personalized genetic-based medications, and less toxic cancer treatments, to name a few. As a result, many of today’s drugs and surgeries will eventually disappear. No drug or surgery, however, will ever replace the human body’s need for an appropriate diet and exercise. No synthetic medication will ever match the safety record of natural compounds. And every surgery is fraught with risk. Adopting lifestyle changes isn’t easy, but it is possible, especially with a little help. There are safe, natural alternatives to almost every prescription drug and noninvasive options for many surgical procedures. Whitaker Wellness has pioneered and championed the use of these timeless therapies for nearly 40 years. What we practice at the clinic isn’t solely preventive, holistic, functional, integrative, complementary, or alternative—it’s just good medicine. And that will never go out of style. If you or a loved one would like to experience good medicine in action at Whitaker Wellness, give us a call at 866-944-8253 or fill out this form for a complimentary consultation with one of our friendly and knowledgeable Patient Services Representatives.